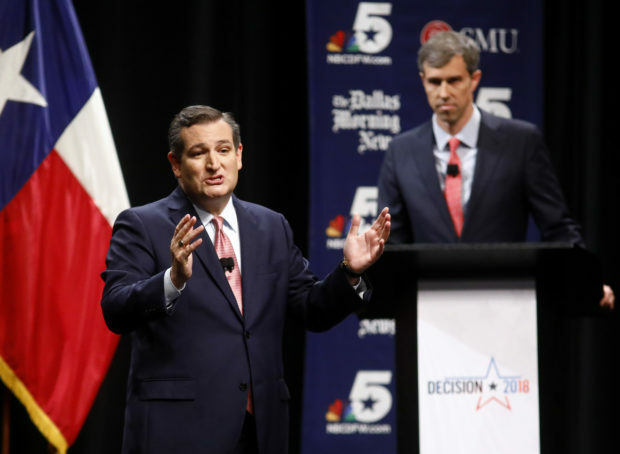 Republican Texas Sen. Ted Cruz joked during a Monday rally about an exchange he once allegedly had with a CNN reporter about Democratic Congressman Beto O’Rourke and diversity. “What? Is there a shortage of Irishmen in the Senate?” Cruz allegedly responded referencing his challenger. Cruz dusts off this line in Harlingen: I had a CNN reporter ask me, Do you think the people of Texas should vote for O’Rourke to have more diversity in the Senate? I said, What? Is there a shortage of Irishmen in the Senate? Cruz is half Cuban and his full name is Rafael Edward Cruz.